There are very few things more joyous than a wedding. Traditionally the summer months are the most popular time when people choose to get married. Summer weddings are considered to be celebrations of the warm weather, love and good friends. With the sunny skies, blooming flowers and warm temperatures, there’s no question as to why most grooms and brides become husband and wife during this time of the year. If you want your summer wedding transportation experience to be easy, smooth and overall efficient, there are certain things you can do. Read our blog-post and find out what they are. During the summer months, when the wedding season is in high gear, demands for extravagant chauffeured rides are also at their peak. It’s obvious that you will want to get a head start so that you can have a fleet of your choice as your wedding transportation. However, it is more likely that you will be bogged down with the wedding planning which means that there is a high chance that you may run out of time to book the vehicles for your wedding transportation. The best thing to do in such a situation is to look for a company that has an expansive fleet as they will be able to offer you suitable alternatives. 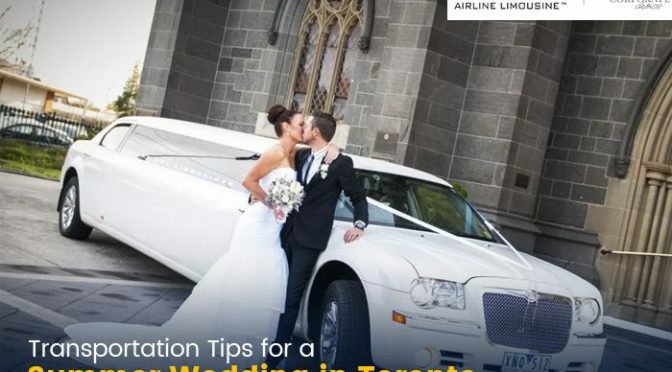 However, depending on the date of your wedding, it is possible that you may miss out on booking the white stretch limo you have always wanted, but you may still be able to make incredible memories in a classic luxury limousine or a sedan limousine. Do not leave your guests sweating it out in the summer heat. Take as much time as you need to look over your itinerary for the big day to decide if it will make more sense to arrange for the transportation for the guests at certain points over the day. 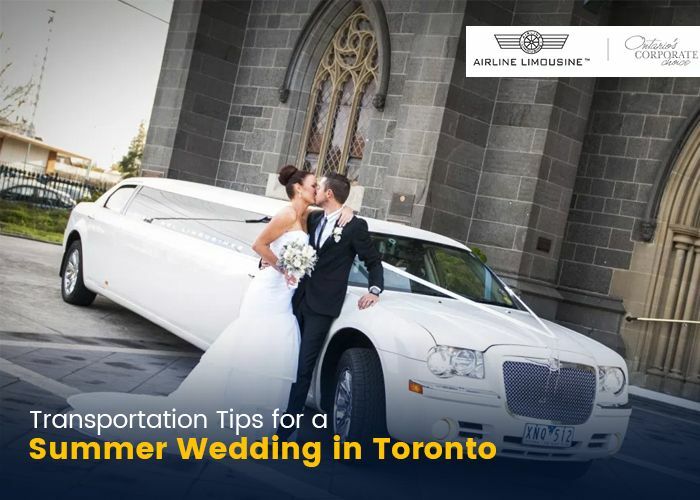 During the hot summer months, your wedding guests are bound to appreciate being shuttled from and to their hotels, the reception, ceremony and anywhere else in-between. It is bound to be a nice accommodation and limousines tend to work best in such situations. You could also hire golf carts or valet parking for times when shuttles aren’t necessary. This is one of the most important things for you to consider for your guests for a summer wedding. They are bound to be warmer during this time. When you add in the layers of formal and heavy attires, the summer temperatures and the excitement for the big day, they are bound to be looking for refreshments every now and then. While booking your wedding day transportation, you should make sure that there are plenty of cold beverages permitted in your limousine throughout the duration of your rides. Do not overlook this as it is an important detail. Also, ensure that your wedding transportation company doesn’t provide bottled water and ice and that you have them available for you and your guests beforehand. When looking at nearby hotels, you can ask them if they offer transport or free shuttles to their guests to and back to the hotel at the end of the wedding. It is also a smart idea to provide your guests with a list of taxi services available for them so that they don’t face any trouble at any point in their stay. Summer weddings are considered to be enchanting and a lovely experience for everyone involved. However, they can also be a tiring experience for those arranging it. Having your wedding transportation sorted out ensures you have one less thing to worry about on your big day.